Rev. Dr. Myong-Ho Cheong, Ph. D in the year 2000 established the Manmin Holiness Church in Nairobi. His call to preach the gospel to the world was further strengthened. 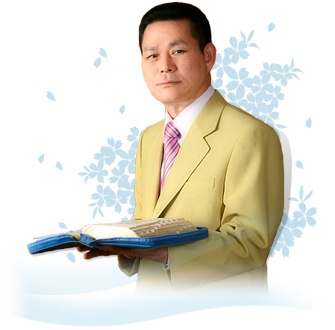 He hosts the telecast which brings to the viewer awesome principles as laid out by the bible without any compromise. His method draws the attention of viewers even as they enjoy the word in a dynamic way. Dr. Cheong has done missionary work in 30 countries in which he was happy to serve. His mission is to reach all people with the love of Christ, winning lost souls and breaking the bondages that hold many captive. He has also established bible colleges to mentor young ministers and empower them for the harvest. He actively speaks to young pastors and aspiring leaders giving them valuable knowledge that will guide them. The weekly Manmin telecast is taped at the Manmin Holiness Church.